This case study is part of MANP’s Stories of Impact series highlighting the many ways Maine’s nonprofits are essential to a strong and healthy Maine. Read MANP’s full Adding Impact Report. A thriving Maine economy depends on a robust workforce. 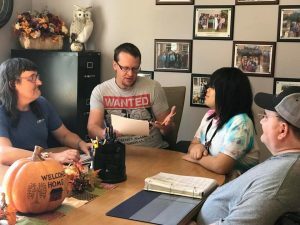 Kennebec Behavioral Health’s Clubhouses are part of a growing worldwide community that includes 300 clubhouses supporting people with mental health difficulties to join the workforce and lead personally satisfying lives while contributing to their community. Educational advancement and employment are critical components of the Clubhouse model. The Clubhouse serves as a liaison between members and their community by assisting members with accessing and successfully utilizing adult community education facilities, literacy services, GED programs, disability services, schools, colleges, and drivers’ education. In addition to teaching skills to help members be successful employees, the Clubhouse directly connects members with employment opportunities through multiple employment options including transitional, supported, and independent employment. Supported over 600 active members. Provided employment opportunities for 260 members. Fostered opportunities for members to earn $1,032,177 in annual paid wages. Offered 167 members continuing education or vocational rehabilitation. Worked with 260 members on active wellness goals.